June 17, 2016, the town of Waynesville, Missouri will commemorate the Trail of Tears and celebrate 100 years of the National Park Service at 9 am at Laughlin Park at the Cherokee Encampment National Historic Site. The following brief history is in honor of our ancestors who passed through Waynesville in the detachment led by Richard Taylor and to coincide with the commemoration ceremony. At the end of May 1838, the United States invaded the Cherokee Nation; rounded up all of the citizens; and imprisoned them in concentration camps. They were held in those concentration camps with little to no shelter until they were divided into detachments and systematically sent west, beyond the Mississippi River into Indian Territory. One of those detachments was led by Richard Taylor. They left for the west on November 1, 1838. No records have been found that indicate how Taylor felt as he led his detachment out of their homeland, but there is a letter written by George Hicks, the conductor of another detachment that left about the same time as Taylor. The excerpt from Hicks' letter offers insight into how all the Cherokees, including those in Taylor's detachment, might have felt as they were forced out of their homeland. "We are now about to take our final leave and kind farewell to our native land the country that the Great Spirit gave our Fathers, We are on the eve of leaving that Country that gave us birth. It is the land of our fathers and sons, and it is (with sorrow) that we are forced by the authority of the white man to quit the scenes of our childhood, but stern necessity says we must go, and we bid a final farewell to it and all we hold dear East of the Father of Waters, the Majestic Mississippi; ..."
Traveling with Taylor's detachment was Rev. Daniel S. Butrick, a missionary to the Cherokees. The journal Butrick kept during the journey is considered the best first hand account of the forced removal. Friday Saturday [December 28th & 29th]. "...It is distressing to reflect on the situation of the nation. One detachment stopped at the Ohio River, two at the Mississippi, one four miles this side, one 16 miles this side, one 18 miles, and one 3 miles behind us. In all these detachments, comprising about 8,000 souls, there is now a vast amount of sickness, and many deaths. Six have died within a short time in Maj. Brown's company, and in this detachment. Of Mr. Taylor's there are more or less affected with sickness in almost every tent; and yet all are houseless and homeless in a strange land, and in a cold region exposed to weather almost unknown in their native country. ..."
And why?...For what crime then was this whole nation doomed to this perpetual death? This almost unheard of suffering? Simply because they would not agree to a principle which would be at once death to their national existence,..."
January 26, 1839 - Butrick and his wife crossed the Mississippi River into Missouri. Many others in their detachment were still on the other side of the river. January 27, 1839 - Only a few families in the detachment had been able to get across the river. January 28, 1839 - Cape Girardeau, MO - Many families still remained on the other side of the river. February 5, 1839* - More Cherokees had crossed the river and they hoped to be able to move forward (with the detachment) on February 14. February 21, 1839* - Drowning Bear died. Feb 26, 1839* - A young Cherokee, Lewis Purdue, died. Feb 28, 1839* - Butrick visited with a few sick children. An old man, Bird, and a child, Mary Fields, died. March 1, 1839* - Two children, aged 2-3 years old, died. That night, they camped on the banks of the Little Piney River. 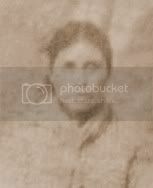 March 4, 1839* - A Cherokee woman died and was buried on the banks of the Big Piney River. March 8, 1839* - A Cherokee man who had been sick with consumption died and was buried the next morning. March 10, 1839* - A boy, about 11-12 years old, died. March 14, 1839* - A sick woman died. It took them nearly two months to get from the Mississippi River to half way across the state of Missouri. They were tired. They were sick. They were in mourning. The week before they reached Port Royal (believed to be Waynesville, MO), there were six deaths in the detachment. There were three more deaths in the ten days that followed. Those people are buried in the surrounding area though their graves are unmarked. Because of the devastating loss, not just of our Nation's homeland, but also the loss of our people, many Cherokees view the Trail of Tears as hallowed ground. It is not just a path. It's a cemetery. It's the final resting place for many of our ancestors and should always be treated as such. While it is likely we will never know the names of every person who traveled in the Taylor detachment and through Waynesville, Missouri, we do know some names, usually the heads of families. Though the memory of the Trail of Tears often overshadows the memory of the individuals who experienced it, we know these Cherokees were mothers and fathers and husbands and wives and sons and daughters and grandmothers and grandfathers and aunts and uncles and sisters and brothers and cousins. They were loved and they loved in return. They were people. Without these people, the marking of such historical sites would not happen. The glory belongs to them. In memory of the Cherokees in the Richard Taylor detachment. May they never be forgotten. *The dates in the transcribed Butrick Journal appear to be off by one week beginning in Feb. 1839. The dates were not included in Butrick's original journal so it appears to be a transcription error. Based on comparisons with other documentation, the dates above are correct. **The information in this post is based on numerous documents that were used to construct the history as accurately as possible. Supporting documents are available upon request. ***The numbers beside the names of the heads of households are the number in the family/household. 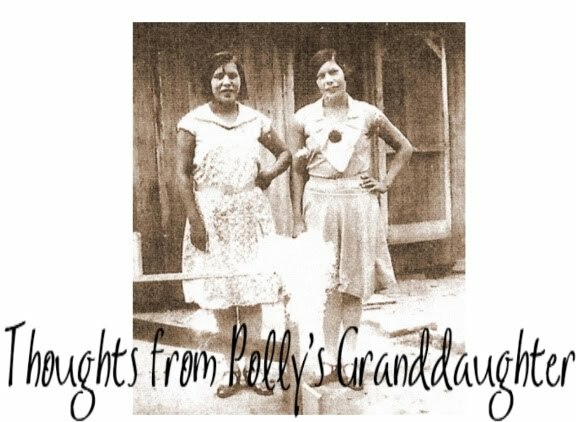 There may be duplicates, but when there was nothing to distinguish whether a duplicate or not, I chose to add both entries because I'd rather include a Cherokee family on the list twice rather than risk excluding a family that should be on the list.